While on the topic of physical releases and Super Rare Games, sales for the Mutant Mudds Collection go live on the website next Monday. There are only 4,000 copies available, so be sure to get in quick if you want a copy. 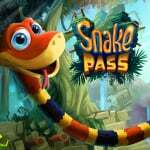 Would you be interested in a physical version of Snake Pass? Have you bought a digital copy of the game yet? Are you eager to get your hands on the Mutant Mudds Collection by Super Rare Games? Tell us below. More physical release = Better. I enjoyed this game, but I doubt I'll ever finish it. I'm hoping to see more from them. Ugh. Another game I wish I didn’t buy digitally. Glad I never picked this up. Hoping this doesn't release around the holidays. My schedule is full already. @thesilverbrick I totally agree. When the Swiitch camee out my thirst for more games landed me with the regret of buying Snake Pass. Just a frustrating and boring experience, never saw a bit of fun in it at all. @kepsux but you get to control a snake! I really liked this game. It took a bit, but once it clicked I really dug the slow and tactful tone of it. The soundtrack, even today, is a regular accompaniment to my work and drawing sessions. Does “makeover” just mean it’s going to be on a cartridge? To me it implies improvements to the game, especially in the graphics department. Keeping my Super Rare Games (and Limited Run Games) switch collection complete, so yes will be getting this. Cool to hear but if I end up picking it up it'll probably be on PC during a steam sale. Way too many games to finish up with such little personal time so who knows at this point. Nice to see more physical releases, although I do find the majority of these indie physical releases are coming in at too high a price. I imagine to get this to me here in Australia will cost me 4x what the digital copy frequently goes for which will dampen my appetite for it. Limited Run games has a similar issue, especially with the added shipping cost. Also finding I can’t redeem Nintendo points on these releases too (probably due to my region) which adds a bit of a further sting compared to the digital copy. It's not your Mario platformer where anyone can take controller & play, the game have a tough learning curve but once you get a snake's physiology this is a great fun. And it's also not an ancient Steam port but a recent game with a new experience which I appreciate & support. Unlike most, when I see a company like SuperRareGames handling a physical release, I immediately decide on digital. These releases are just too hard to get! I waited for this on Switch before I even had one.So it's disappointing to see it took them this long to release it physically and in very limited supply. I'd give the game a 7/10. I might skip this one, since I've been buying so many physical Switch games lately, and I'm not a fan of SuperRareGame's "4000 copies ever" approach. Unless it's significantly affordable since it's UK based. @Smigit Agreed. I like owning a physical copy, but at 4x the price you could buy the game three times digitally over the years and still save money. For some reason I haven't bought it none of the several times it has gone on sale. Maybe the reason was some part of me knew it would get the physical traitment. Now I know it can't be that. Super Rare is super limited and expensive. @kepsux yes just lookin at the game i knew i would not like it. Great game but too little too late. @kepsux Oh, I think you misunderstood me. I just wish I didn’t buy it digitally. I adored Snake Pass. It was charming and cerebral and had a phenomenal soundtrack. I was even able to get 100% of the collectibles. I just would much rather have any game possible as a cartridge. @paihia Haha, I'd use the term "control" lightly. @thesilverbrick Haha, fair enough! If I had it on a cart I'd gladly gift it to you! I think the box art would be better if they took all the text off, made the snake's head bigger, and turned the background blue. @kepsux Haha, I appreciate the thought. @Smigit They are more expensive here in the UK. I guess about £10 more than the download version. But a normal physical release, say Smash Bros. Will be £5 to £10 cheaper than the online version. These limited run physical games are for the gamers that don't read reviews and see the game in store, like the boxcover and make an instant purchase. I bought the digital release awhile back when it was on sale... tried to play the first level and had such a difficult time with the controls that I gave up, haha! I’ll have to really sink my teeth into it sometime, because I do like the world the game has, and the music is fantastic. I love the way the snake controls, it's a great "snake simulator" and the music is beautiful to boot, but I got so frustrated with the game I gave up on the second world and haven't touched the game in over a year. I might go back to it someday but not interested in a physical copy. My Switch will always be 100% digital copies, but it’s cool that these physical copies of games keep coming for people who dig that kind of thing. Great! Now they just need to make it a good game. I'd like Swim Out to get a physical copy. Nice little puzzler with a great look. Limited to 4000 copies. Things like this make me glad I gave up on a physical Switch collection. Hunting for retro game carts is one thing, but a brand new release? No thanks. The epitome of a game I wanted to get into but just can’t. Didn’t get on with it at all. The visuals and music are good but I couldn't deal with the controls and the physics. The snake feels half-dead. This is actually one of those games I regret purchasing. I was desperate for games to play on my brand new Switch at the time and made the mistake of getting this one. I got bored like 5 minutes in. 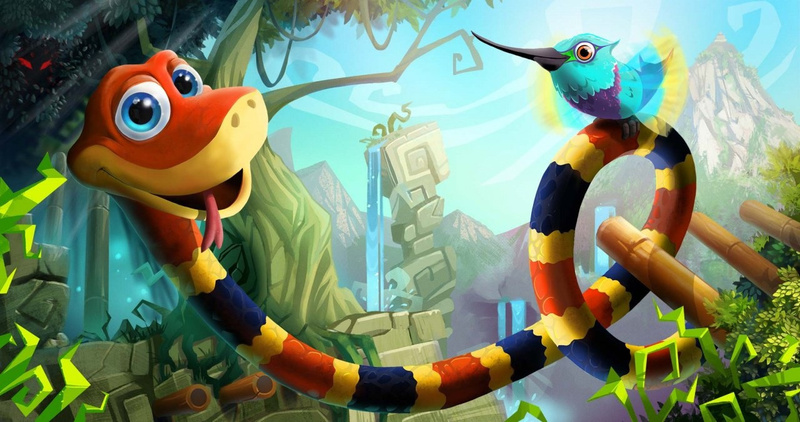 I really enjoyed Snake Pass, even more than I've enjoyed Odyssey, which is a game that just doesn't click with me for a reason that I cannot define. This is awesome! If only we could get some Yooka-Laylee love in physical form!